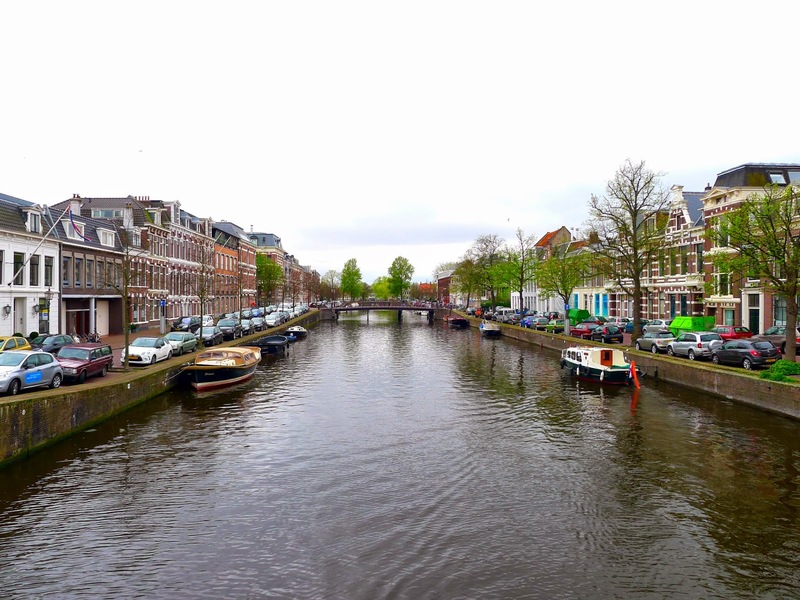 Adding another Dutch city to the list of places I've visited when over in the Netherlands with Chelsea this time we headed to Haarlem. 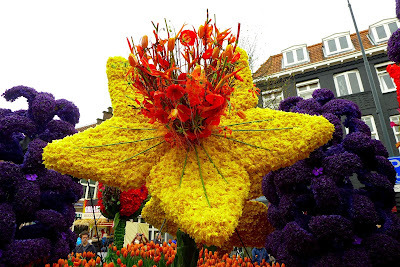 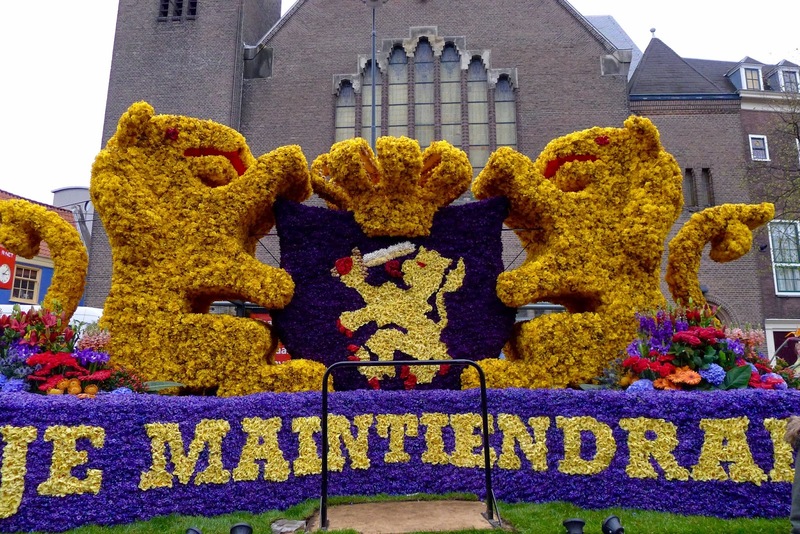 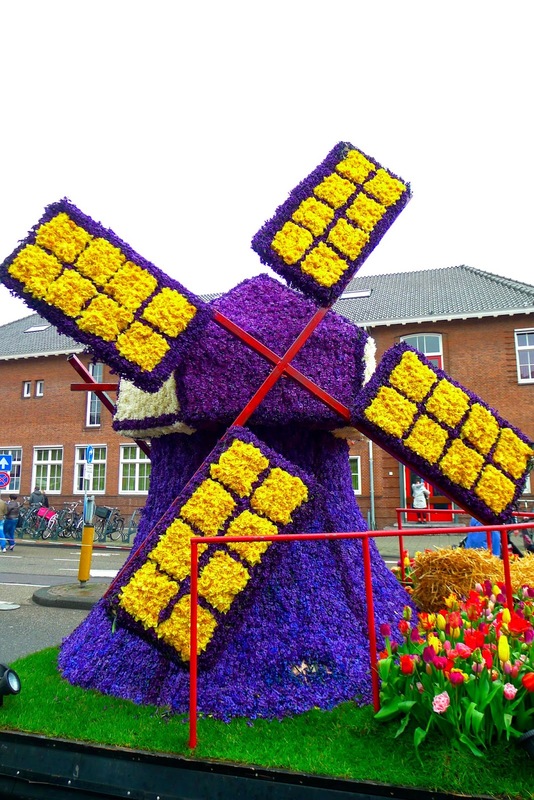 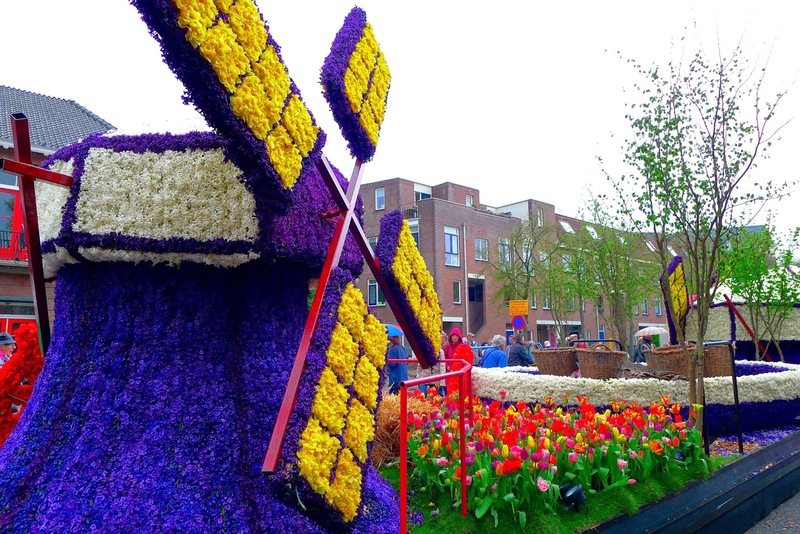 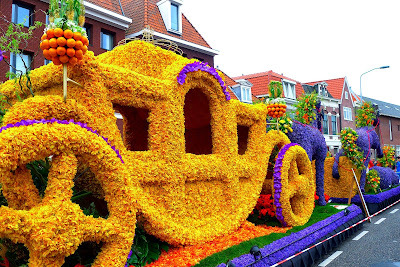 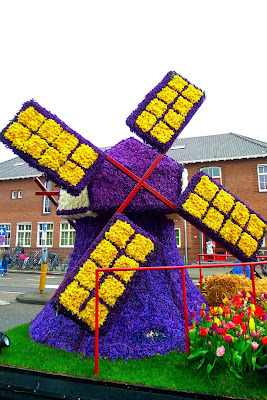 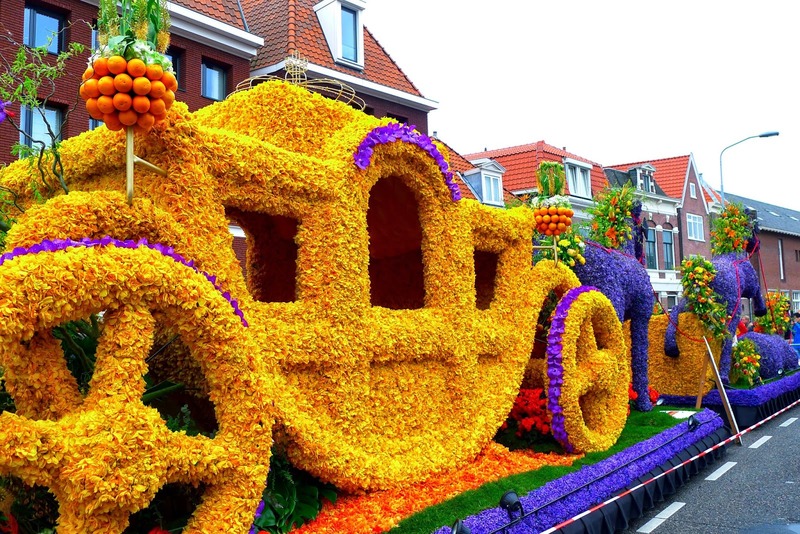 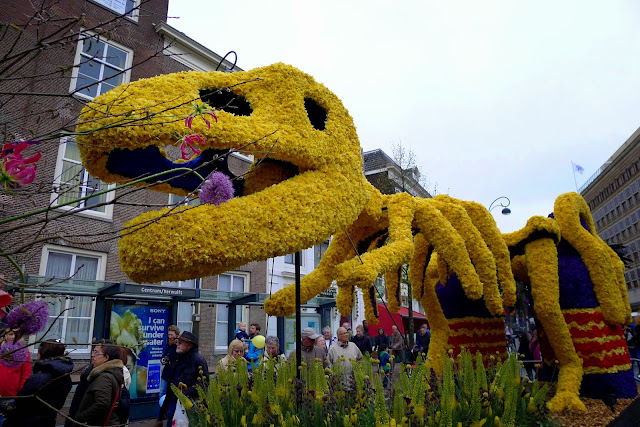 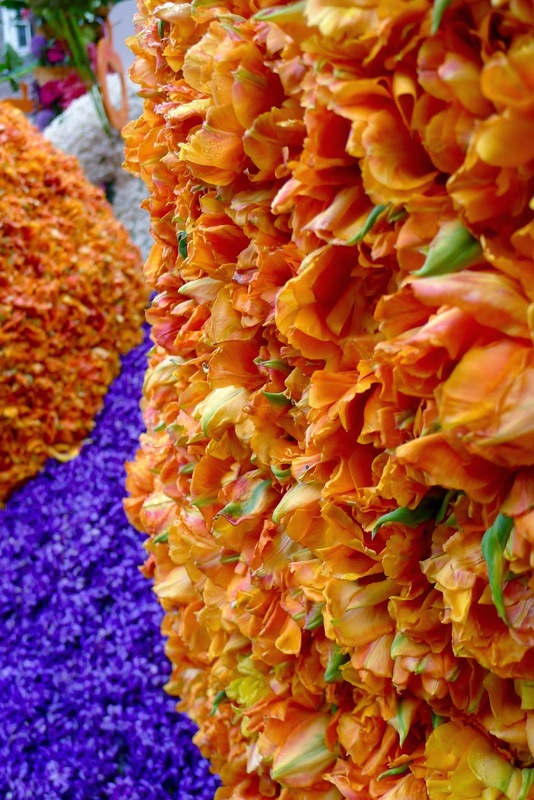 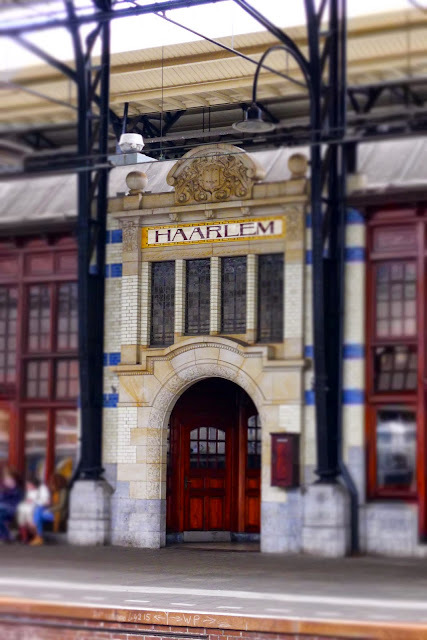 Fresh from our visit to the Keukenhof, we jumped on the train to Haarlem to wander around the town admiring the flower floats from the previous day's Flower Parade. The weather was less than perfect, a general mizzle (mist/drizzle) descended on the city whilst we wandered up and down, attempting to wait for people to get out of our photos. Chels and I are pretty patient in this as we would rather not take a photo than have random people in it! 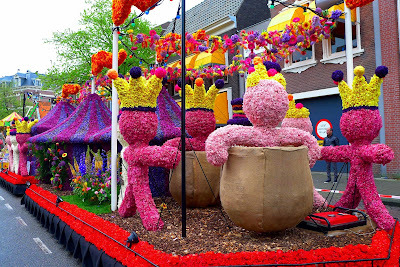 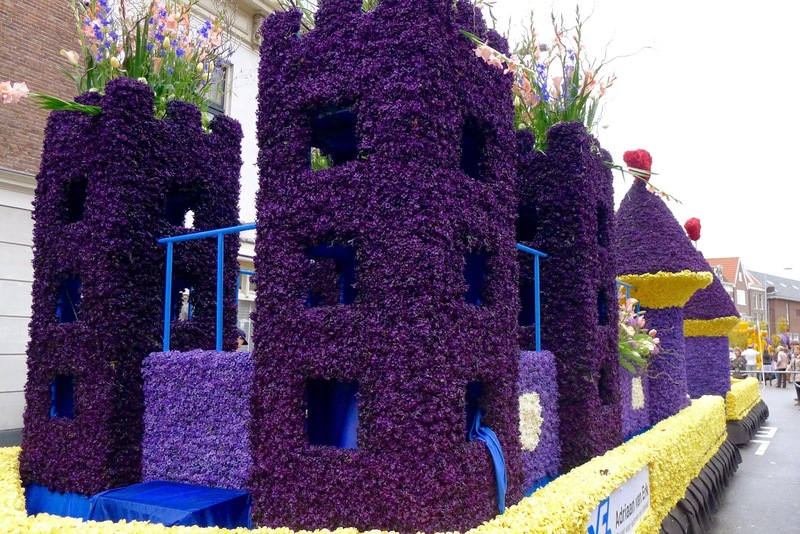 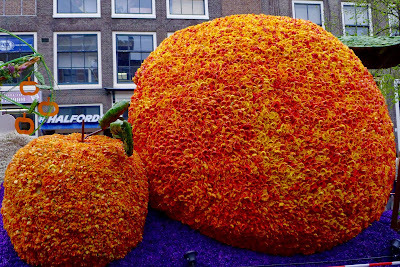 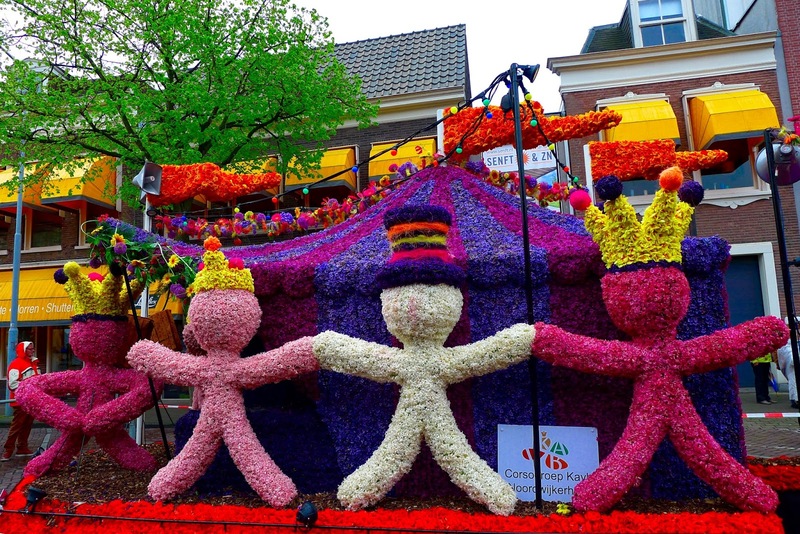 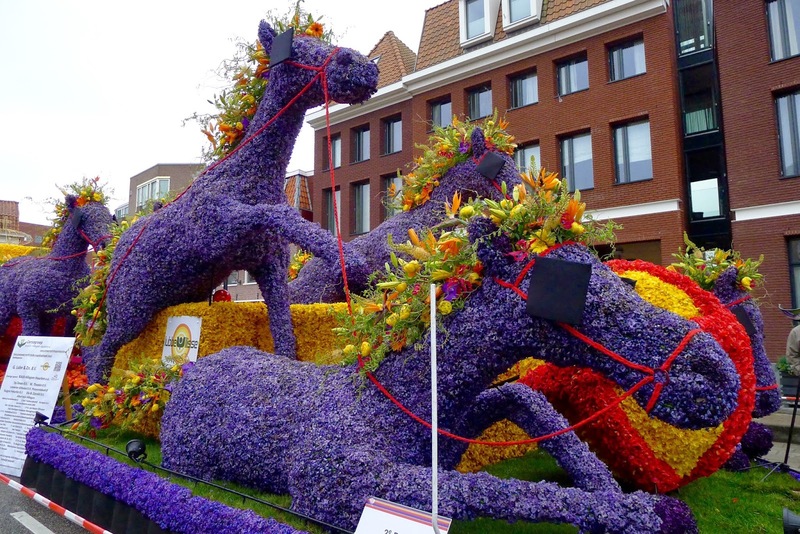 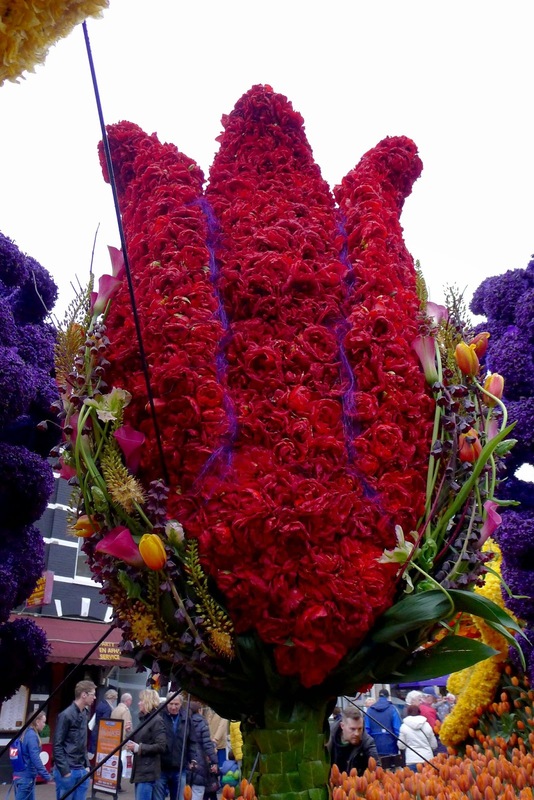 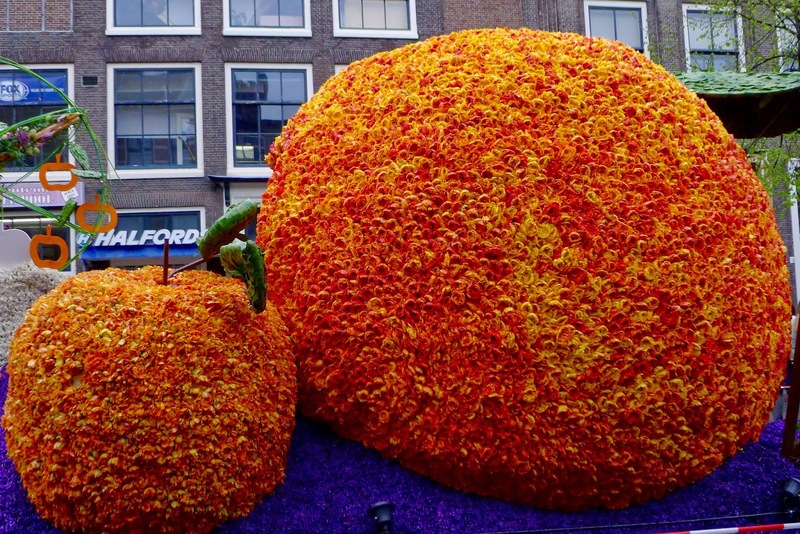 The best of what I took are below, the floats were fairly impressive, although after the Keukenhof the day before we were almost completely flower-ed out! After our jaunt admiring the floats we wandered back through the main square towards the station. 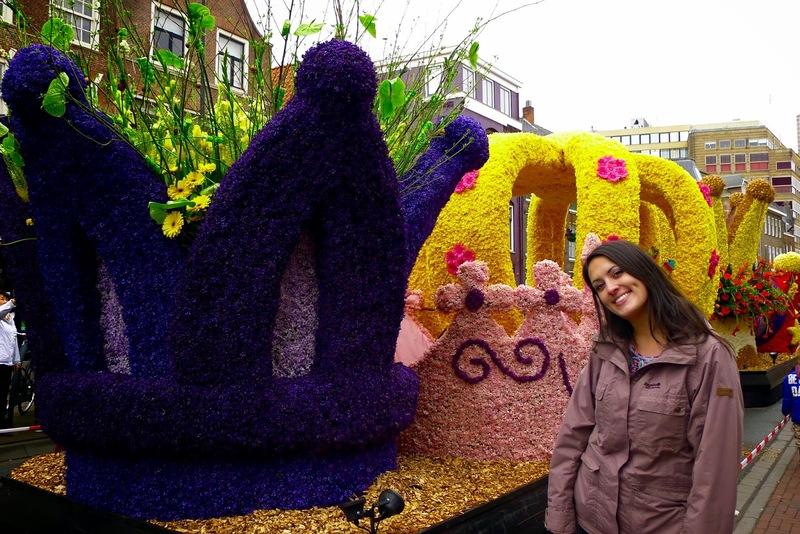 Feeling pretty tired and fed up of the cold damp weather we ducked into a cute cafe on the way back, unknowingly happening upon a tea shop run by an English woman and serving cream tea! 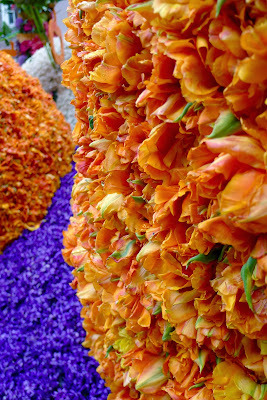 We were brought two massive scones each and a large pot of tea which remedied our low spirits. 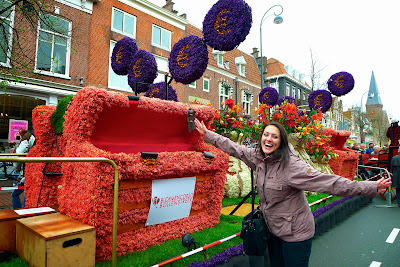 Back in Den Haag we prepared ourselves for Kings Night, which mainly involved waiting for ages to enter the Grote Markt, painting Dutch flags on our faces and dancing to random Europop!